Yes, as we neared the mountainous city of Montepagano, the skies were growing more menacing and then splat! splat! splat!! We had nowhere to go but up, and up, the narrow path they called a road. Those that have been there, know…. 🙂 On came the wiper blades and up the harrowing hill we went. Round and round she goes…. Lorna, bravely traversing the road, put the SUV in gear and safely navigated us up the rainy road. The rain came down harder and harder and it was difficult to see at times. To one side of us there was the bit of road, to the other, a 50 foot drop! There really was no shoulder to go on. Over too far and it was ciao, ciao, ciao! The scariest part was when another car was coming from the other direction and they thought they were the only car on the road. There was scarcely enough room for another car to pass. We finally made it up the hill, holding our breath with each curve. At one point, we finally reached some level ground and a bit of a clearing. The rain was coming down even harder, so Lorna pulled off for about five or ten minutes until the rain finally let up a bit. We looked around, and not sure how we did it, but we actually passed Montepagano! Like, there was more than one town on this little mountain? So, we saw a sign that literally said “Montepagano” with an arrow pointing to where we had already come. Lucky for us, the rain had almost stopped and was now just a light sprinkle. We made our way back down the treacherous path and followed the signs to Montepagano. The streets were actually pretty deserted of people, but there were several cars parked. It was a Wednesday, so maybe people were at work and it was also raining. The rain had pretty much come to a stop, as the ancient cobblestones glistened with the dampness. We were not sure where to go from there, but we followed Dani, with phones/cameras in hand. We marveled at the beautiful buildings and architecture, of how it has withstood the time and the weather. We passed the famous clock tower on the way and ended up in the center of town. As we got closer to the little café, we noticed a huge banner across with Gian and some words from L’amore Si Muove, although it really wasn’t registering with me yet. We kind of recognized some of the words, but it still wasn’t clicking. Dani told us that this was the place Gianluca’s nonno owned at one time. There were a few gentlemen outside at a table, even though it was still pretty wet. Since it was still slightly sprinkling, we decided to go in. It was not very big, but they sold espressos, I think some gelato and we saw a sign for Nuttella crepes!! Surely, in honor of their most famous resident, Gianluca!! So, of course, we had to try some Nuttella crepes and espresso. I think Dani just had some espresso and we enjoyed our crepes. I looked out the small window and saw a sign that said San Spirito. Hmmm…. We finished our crepes and went outside. Where to next? We asked Dani if she could find where Gianluca or the Ginobles lived? So, she just looked them up on her phone in the Italian White Pages. Well, of course – where else would they be? She found the address was on San Spirito. We wondered where that was. Wait, that was the sign I saw looking through the window at the café! I felt like we were in a mystery and had to solve the clues. We went down and over a few streets, and sure enough, we found it. We kept walking down to where his address was, but it had a different name on it. Maybe for us fans, they had different names, so they wouldn’t be bothered! So, we kept walking, and around another corner, Dani pointed out where nonno lived. Even though the skies were cloudy, it was kind of nice and still very beautiful. As we walked, Dani was pointing out the famous landmarks and then she said, “you know, this is where they filmed part of the video for L’amore Si Muove!” Of course!! Now things were looking familiar and THAT’s why they had that big banner with the words from the song on it! Well, after we realized that Dani brought the video up on her phone and we traipsed around, trying to find all the places we could, in the video. We found the domed church, and made it up the hill to the famous bench. We walked along around the edge of the town, facing the sea, wondering which window Leonora took her lovely sunrise and evening pictures from. I think I took more pictures in Montepagano than anywhere else besides the Florence concert. It was so beautiful. We certainly know why Gianluca loves it so! Up and down we went, over the cobblestone paths. It was amazing that people can actually get cars down there. One or two actually passed us. It didn’t seem much wider than a few sidewalks put together. We remembered the one photo in the video where Ignazio is leaning against the wall of a building and the tower and lamppost are looming in the distance. We tried and tried to find just the right spot and tried to get a photo of me imitating him on the wall. After almost half an hour, it seemed, we decided it was nearly impossible to find the right spot, even after we tried to do a screenshot and enlarge the picture. I finally decided the video may have been edited over later because we could never seem to get the right angle. We even tried a few different streets! It was starting to get late and we had been there for several hours by then, so we thought we should be getting back home. As we rounded the few more blocks and got back to the main part of the little town, Dani pointed out to us a taxi. Out of the taxi, came Ercole and Alessio! No, we did not take pictures as not to appear to be too nosy… Ercole got out and went over to a big, black Volvo SUV, got in and drove away. We decided they were just coming back from dropping Gianluca at the airport. That was the day they were on their way to Mexico, to make up the concert that had gotten cancelled previously due to the hurricanes back in April or May? Ok, that was exciting to see them – so unexpected. No, we didn’t run into the family, or nonno, or anyone else – we weren’t quite as lucky as Jeannette or Jane and Marie, but it was still fun. It was this magical little adventure in this incredible small town, almost like a fairy tale, that no one had touched in hundreds of years. We decided to make our way back to our car, we were pretty exhausted by then. And what to our wondering eyes did appear? O sole mio! Yes, as we were leaving, the sun decided to come out! I snapped a few more pictures under sunny skies and Lorna decided she wanted a picture under the “welcome to Montepagano” sign. So we both took our pictures under the signs. We waved arrivederci as we drove on out of the city. I guess we were actually pretty lucky it was cloudy most of the time we were there, as it was starting to warm up pretty quickly in the short time the sun was out. The ride down did not seem as scary in the sunshine, although the road was still pretty narrow. It seems we took the back way down. We got down to the main road and turned right. Our Montepagano adventure was over. We made our way back through the several round-abouts – they didn’t seem so bad in Italy…. I hate the ones here! We passed a mall on the way and we asked Dani if we could go there. We wanted to pick up a few things. Inside the mall was a store like a Target or Walmart that had just about everything from food to clothes. We picked up a few things and I got a few boxes of biscotti made in Abruzzo and we got some really cheap Moscato – a whole 3 euros! We dropped off Dani and then we realized we forgot to give her her CDs. I wanted to go by the sea again, but we never made it. We texted Dani that we were coming back. Not many of you may know this, but Dani’s family has an olive oil factory, called Corneli. How awesome is that? We kept trying to ask her to buy some olive oil to take back with us, but she never let us! However, when we went back to give her the CDs, she came out with two very special bottles of lemon infused olive oil!! OMG! We were so surprised and tickled! I admit, I had never had lemon olive oil before. I could not wait to go home and try it on my salad! We thanked her and hugged goodbye. We made it back to our hotel. We were pretty tired and we had to get up fairly early again, as we had to have the car back to Rome by 10:00am. Lorna wasn’t really hungry, so our dinner consisted of Moscato, biscotti, and M&Ms that I had brought – they were the pretzel ones that I love! I gave a bag of them to Dani, as well! 🙂 The Moscato was pretty good, too! Again, we got up early and this time I was up before the sunrise to get ready and leave. We had packed the night before and we were going to take showers in the morning. However, sleep won out and we decided to skip the shower. We went downstairs to pay the bill. Unfortunately, Italians do not believe in eating breakfast early, so once again, we missed breakfast! The only hotels we managed to have breakfast in was the first one! We had to get some gas and Dani had pointed out to us a self-serve place for us to go in the morning. Ok, we got there shortly after 7a and it was pretty deserted. We found the pump and even the somewhat English directions. Ok, how hard could this be? After several attempts, we were ready to give up. We got as far as putting in our card, after we figured out it only took MasterCard, but couldn’t figure out where to put how many gallons or money that we wanted. I spotted a guy a few pumps over and I told Lorna to move to a different one and I was going to go over and ask him. Now this was brave – lol! He looked to be middle-aged, and hopefully a nice guy. I went over to him and asked him, in English, very slowly, if he spoke English. He said, “no!” I said, “little bit?” He said, si. He was pumping his gas and I was all excited that he understood some English. I looked at the pump, looked at him, and gestured with my hands a “how to” expression and said, “come?” I guess I was being a bit anxious and he almost shouts, “aspettero!” Huh, what? Oh, “wait!” Ok. 🙂 Ah, we can thank Il Volo for their song “Aspettero!” – I knew what he meant! I shut up and waited until he was done. When he was finished, he walked over to us and showed us how to pump the gas. We thanked him politely and we were soon on our way again – about 30 minutes later!! So much for stopping for breakfast anywhere. We did take a bit of a snack type of cake from the hotel to eat, as that was all they had sitting out so early when we left. But not even any coffee! We left Silvi and Montepagano and tearfully said goodbye…this was it, our final leg of our tour of Italy. All we had left was Rome and then, home from there. It was a beautiful and sunny day. A gorgeous ride on the highway. Lorna and I were amazed at how little traffic there really seemed to be. But we quickly found out that all the traffic was in Rome! Lol! As many of you know and I had mentioned, Roma traffic is crazy! There are two lanes, but three lanes of traffic! We were kind of on a boulevard street and trying to get back into traffic. It was awful… we went a little ways and we were still on the right side of the road. As Lorna was inching nearer the street, the closer and closer the edge of the back of the truck came to our vehicle! Of course, it was on my side – I’ve been in accidents before and knew the awful anxiety and anticipation of knowing at any second your vehicle was going to collide with something else! “You’re going to hit the truck, you’re going to hit the truck!” I screamed, or I thought I did? Sure enough, rr-iii-pp, screech, crack! Oh no! First thing I said, “you got the insurance, right” “Yep,” she said. Ok, whew! 🙂 I was afraid to get out of the car. I got out and looked. What we collided with was the – not sure how to describe this, but the truck was a medium-sized delivery type truck with the elevator type mechanism that would go up and down and we hit like the side bracket of it. It tore a slit into the front quarter panel of the SUV just like it was opening up a zipper. Looked pretty bad, but car was still drivable, thank goodness! Quickly, two screaming Italian men came out after hearing the noise. We could not understand them, but we got the meaning! lol! We waved the car rental papers and said we were Americans. There was, of course, no damage to their truck, so thankfully, they just shook their heads and waved us on. Ok, we were a bit stressed out by then. We had nearly made it back without a scratch and now this! Ok, Lorna had the insurance, so we should be ok. We were just a few miles away from the parking garage. It was just about 10:00am by now. We should be ok.
We managed to somehow find the parking garage – thanks again to Google maps. I still want to send them a note one day and tell them they saved our behinds many times while in Italy!! Anyhow – we were in the final stretch. Up the levels we went – almost as harrowing as the road up to Montepagano, but at least it wasn’t raining. However, these were hairpin turns getting level to level. We had just made it up to the fifth level and had just made it around the final turn – almost! What happened next you ask? Well….how about – SCREECH and CRUNCH! You are thinking, “No…. !” Oh, YES!! Lorna was driving very slowly and carefully, but it was just that final turn she misjudged a bit. Luckily, or unluckily, the guys that were from our rental place saw it happen! Lorna tried to back up, which started the scraping sound again. On my side again, also!! Quickly, the guys run over to her and yell “stop, stop!! We will take it from here!” Oh boy – so, I stayed in the car, while the guy jumped in and expertly backed out and maneuvered the car around the corner to safety. He parked and I got out, and went to meet Lorna and gather the bags. I was truly afraid to look. It looked positively awful. The zipper rip in the front quarter panel was nothing compared to the almost completely scraped side of the vehicle. As I think about it now, I was lucky I could get out of the door. I took one look at the car, and it must have been out of sheer nerves and stress, but I burst out laughing! This was no laughing matter, but I could not control my obvious hysteria. I was losing track of time by then, but nearly an hour later, it seemed, we were finally out of there and walking back to the train station. We were starved and I remembered a McDonald’s was near there. It was shortly after noon by then and McDonald’s was packed! We managed to find 2 stools open in the bar-like area. I left Lorna with the bags and went to get in line for lunch. We had booked the tour to see the Basilica and were supposed to be by the steps of them by about 1:30p/1:45p. It was nearly 1p by then. We tried to get Uber to take us to our hotel, unfortunately this time, the driver spoke no English and we never connected. Lorna asked where the hotel was and I had no idea. We looked it up and realized we were within walking distance. Ok, good thing for us! So, we walked the few blocks. When we got there, we encountered the only screw-up I had through the whole trip! Somehow I had booked the previous night for the hotel! Oh no, we were so tired and exhausted by this point. “Do you have a room?” Luckily, they did. Awesome! She said it’s on the 6th floor and oh so pretty, but the elevator only goes to the 5th floor, so we would have to take our luggage up the stairs. “No, no more stairs. You have to find us something else.” I think she found us the smallest room they had, but it was on the 2nd floor, so we took it. This was the tiniest room ever. As I look at it now, I don’t think it was much bigger than my current bedroom! It barely fit a double bed and dresser. The bathroom was around the corner and not much bigger than a closet. We both flopped on the bed in sheer exhaustion! It had to be the worst and lumpiest bed ever! I looked at the clock, about 1:15p, and I looked at her. The tour was pre-paid, but I said, “I’m ok with skipping the Basilica, if you are.” She agreed and we collapsed on the bed for a long nap! As we lay on the bed, I remember calling Marie, almost in tears and said, “I want to come home!” We had been through Rome twice and never saw any of it! And not because we had a bad trip, it was incredible, but that last day just did us in. After about a 2 -3 hour nap, we woke up and decided we should at least go and find dinner somewhere. After walking up and down our street where the hotel was, we decided it probably wasn’t the greatest of neighborhoods, so we ended up eating at this almost, only restaurant, across the street from our hotel. Lorna had a pizza and I had the special which was 3 courses and dessert. We each had a glass of wine. I had pasta, and then chicken and roasted potatoes. It was pretty good. The bathroom – as you can tell from pictures, I’m not a small person. Lorna is about half my size! However, the tiny corner shower stall was so small, I literally had to go in sideways to get in and then I had to squeeze this body in. Ok, the pasta, pizza, and gelato, must have caught up with me! But Lorna agreed, it was a pretty tight fit, even for her. After we checked in, we had breakfast. We then stopped in an Armani store – they were having a sale. Ha, ha! We managed to find a sale corner and Lorna bought me a souvenir t-shirt that said Armani on, similar to one Ignazio wore. She bought one for herself as well. It was the biggest one they had and it “almost” fit. Let’s just say I won’t be wearing it in public for a really long time! Ah, home, at last! Ginny picked us up from the airport and then dropped Lorna off. She came by my place a little while later, but I felt bad because I think I fell asleep! We were pretty tired. We came back on Saturday, so I had one day to recover before going back to work on Monday. Two more magical nights came and went a few days ago… What’s that direction? “Wash, rinse, repeat?” How about…”Sing, standing ovation, sing, standing ovation, repeat, repeat, repeat…!” Also, anyone remember that old Suave commercial? 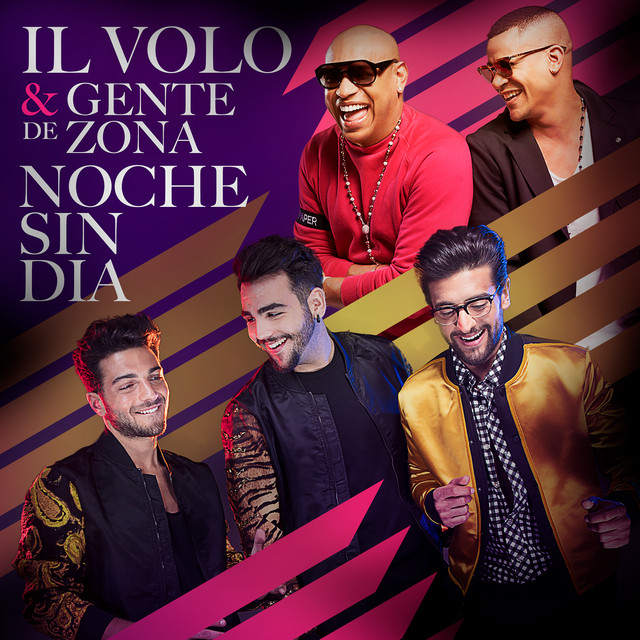 “If you tell 2 friends, and they tell 2 friends, and so on, and so on, and so on…?” Hmm… sounds like Ilvolovers sharing and spreading the love, doesn’t it? 🙂 Why all this talk about shampoo? Because we just can’t seem to “wash these men out of our hair!” Of course, no one wants to, either! Ah yes, Roma! 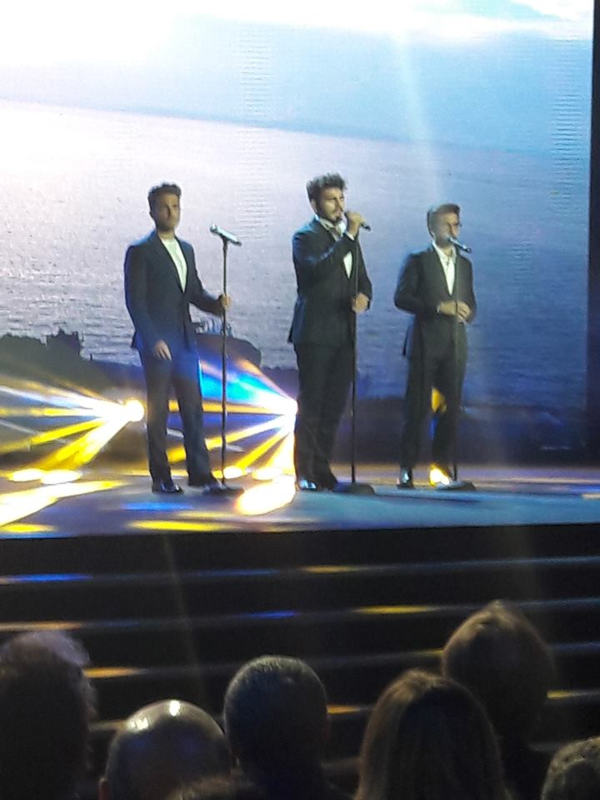 Il Volo continue to conquer Roma, as Caesar surely did, but with music, instead of muscle. Adoring fans, following them, wherever they lead…an army of Ilvolovers at their feet. I hope the “Fabulous Five” from the US that are over there now, don’t mind me sharing a tidbit or two of their time at the Roma concert and meet/greet. Donna said, “The concert was amazing! It was better than the Fox! The guys were beyond amazing!” For the meet/greet, they were ushered into this small room area. Apparently, there was only one way in, so the guys just HAD to pass by them to get into the room. Donna said, as soon as Gian saw them, he burst into song singing “America, America” (America, the Beautiful) and gave them all hugs and kisses! That was before the actual meet/greet! Ok, here are some videos and OMG! pictures. Credit and grazie mille, to all owners everywhere! And the link to the happy meet and greeters!! Look for the Fabulous Five! Let’s start with Grande Amore! Looks like someone recorded the first part of the concert!